The ASPCA estimates that 78 million dogs are owned in the United States and that about 44 percent of all households have a dog. Lucky the TurfMutt is a former rescue dog turned superhero who got a new “leash” on life when he was saved from a busy Indiana roadway by Kris Kiser, President and CEO of the Outdoor Power Equipment Institute (OPEI). Plan ahead. There are probably a few pet-friendly restaurant patios, hotels and even shops along your route, but they aren’t always easy to find. Sometimes you must call a business to find out if pets are allowed, and if so, if there are any size restrictions or fees associated with including them. Pack some familiar dog stuff. Make your dog feel at home away from home by packing his favorite dog bed, blanket, chew bone, food/water bowls and toys. Keep their meal schedule consistent. 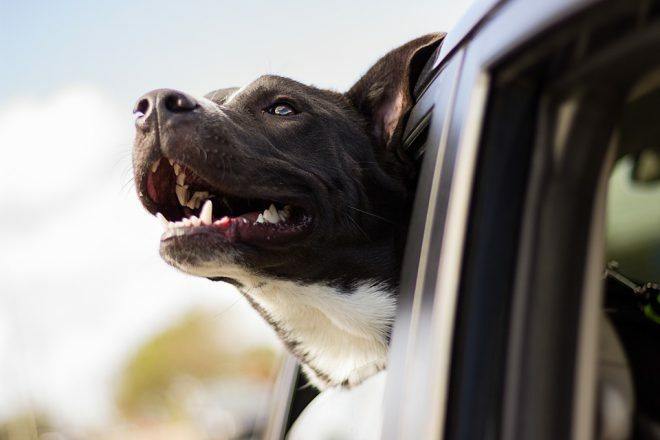 Even on the road, you’ll want to keep your pet’s feeding schedule consistent. That means packing a bag that’s easily accessible with food, water and bowls. Pack paper towels & stain remover. Even the best-planned trips can have issues! Always travel with clean-up supplies in an easy-to-reach spot just in case. Be respectful. Most hotels and restaurants have very specific rules about allowing pets, like not leaving them alone in the hotel room. Know and follow these rules to ensure a smooth trip.